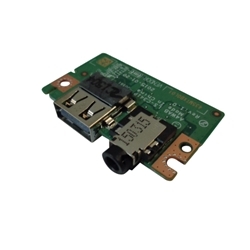 Description: New genuine Acer laptop usb port board. This original circuit board contains 1 usb port. Acer Aspire E5-422, E5-422G, E5-432, E5-432G, E5-473, E5-473G, E5-473T, E5-473TG.